Welp... you win some and you lose some. This week's classic comic book hero live action adventure was certainly a loser. If the idea of a live action version of the Super Friends cartoon series using the late Adam West as Batman, Burt Ward as Robin, and Frank Gorshin as The Riddler, sounds like a good idea I would agree. 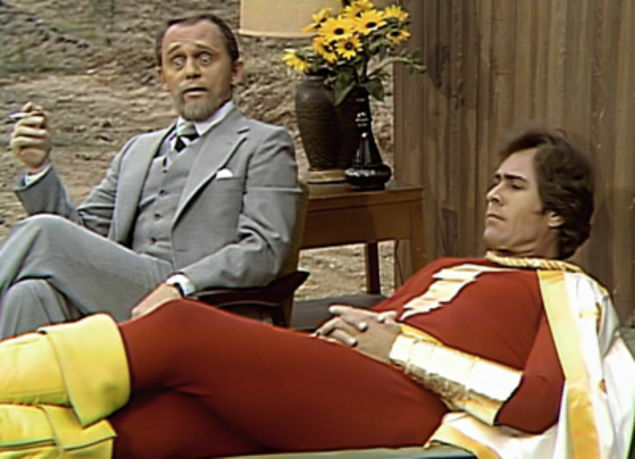 Airing in January 1979, Challenge of the Superheroes was a two part special that aired just days apart. The first, which we cover here this week at When It Was Cool takes a look at part 1- The Challenge. The concept sounds too good to mess up but mess it up they certainly did. 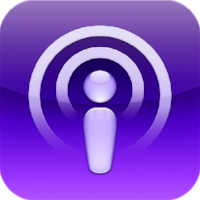 The second part- The Roast is reviewed here. It was virtually fool proof. Take Batman and Robin and the Riddler from the classic 1966 Batman television series and add them to an all new cast of DC Comics superheroes based on the Saturday morning cartoon classic The Super Friends and air it in prime time on NBC. It should have been a recipe for a cult classic but, sadly, Legends of the Superheroes delivered a giant dud. Mordru and The Riddler demonstrating what they do best. 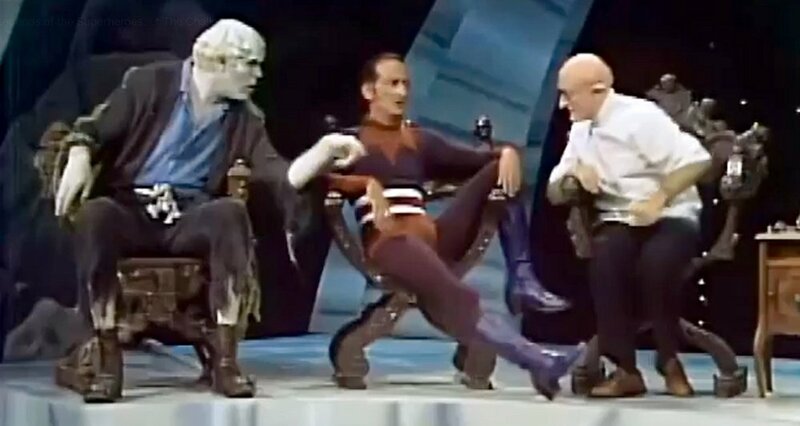 Sitting, or in Frank Gorshin's case, not even being troubled to fully sit during this debacle. This is about as exciting as it got. Legends of the Superheroes: The Challenge delivered nothing in the way of excitement or action. There was, however, a lot of sitting around making unfunny jokes while a laugh track played. The comedy was abysmal. Sinestro (Charlie Callas) was particularly infuriating. The characters, especially the villains, were all so overacted and over the top you might as well have been watching Vaudeville circa 1919. I must say, however, the costumes were pretty great. Ascetically, if they were going for Super Friends meets Batman '66 then they hit the target with that one. Unfortunately, they missed on everything else. Everything that was charming and clever about the 1960s Batman television show was missing from Legends of the Superheroes. Everything that was fun about The Super Friends was missing from this as well. Batman (Adam West): His powers seemed to be that he forgot how to be charming like his 1960s persona. Robin (Burt Ward): His powers seemed to be a total apathy for being there and his stunt double look nothing like him. Scarlet Cyclone (William Schallert): His powers were to mimic a stereotypical old person but very badly. Green Lantern (Howard Murphy): His power was to aim his power ring at himself in the most ridiculous poses possible. Captain Marvel (Garrett Craig): His power was to lay on a couch. Black Canary (Danuta): Her power was to be played by someone with one name like Madonna or Britney. Hawkman (Bill Nuckols): His power was to look impressive in a great costume and do nothing. The Flash (Rod Haase): His power was to be in this special for all of about one second. The Huntress (Barbara Joyce): Her power was to be completely forgettable. The Legion of Doom demonstrating what they do best- sitting around and talking. The plot, for what it is worth, was that the Legion of Doom had set up a bomb that, I guess, was supposed to blow everything up. Not the best plan ever. They then have the Riddler leave clues for the heroes to try and solve in order to find the device and deactivate it. The heroes then, very badly, chase down these clues, and in the end obviously save the day. That sounds way more interesting than what actually occurred. Hawkman (Bill Nuckols) looked great but did little. Notable guest stars in the first special included Frank Gorshin reprising his role as The Riddler from Batman, Howard Morris (best known as Ernest T. Bass from the old Andy Griffith Show) as Doctor Sivana, Gabriel Dell as Mordru, Charlie Callas as Sinestro, Jeff Altman as the Weather Wizard, Mickey Morton as Solomon Grundy, Aleshia Brevard as Giganta, and William Schallert playing the Scarlet Cyclone (AKA "Retired Man"). There really isn't much else to say about the first special as there was virtually no action, nothing was funny, and nobody seemed like they actually wanted to be there. If you want to see what other DC Comics superheroes and villains might have looked like had they appeared in the 1960s Batman television show then I suppose you could look this up but beyond that this Legends of the Superheroes special is a complete waste of time. 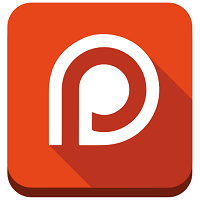 Patreon supporters at the $5 or higher contribution level can listen to our podcast audio review of the series by clicking here. Captain Marvel shows off his impressive power set by laying on a coach for his entire segment.